A fine mid-summer’s day was just what the doctor ordered for this year’s C in the Park event organised by members of churches in Downend and the surrounding area. 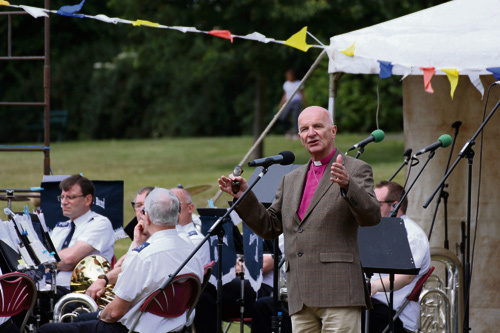 Hundreds turned up for the open air service in King George V Park, where the Bishop of Bristol, Mike Hill spoke on the theme of God’s love for his people, emphasising his willingness to forgive and welcome back anyone who asks. His theme was graphically illustrated by the Kensington Puppet team with an army of farm animals helping bring to life the Parable of the Prodigal Son from Luke’s gospel. Also involved in the service was The Salvation Army band, a choir from Mangotsfield C of E Primary School and Larry Harvey, a reformed criminal whose life has been transformed by his Christian faith. Whilst people enjoyed a picnic, Bishop Mike took part in a question and answer session, where we learnt about his childhood ambition to play football for Manchester Utd, his call to Christian ministry and his vision for Christians to live out their faith 7 days a week. Through the afternoon, people of all ages sat to listen to various bands and choirs on the main stage, whilst the more energetic participated in inflatable obstacle courses, took on the rodeo bull or had their faces painted. There was a tremendous family atmosphere and a great sense of community, with local groups such as the Royal British Legion, Friends of King George V Park and Downend and Bromley Heath Council able to profile their work in the area. 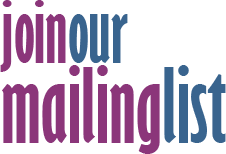 The event now in its fourth year, was put on by local churches as a gift to the community with 13 local churches involved this time round.